Well, well, well...it seems like Christmas is less than a week away and I have yet to let you know what I'm hoping will find its way under my tree. 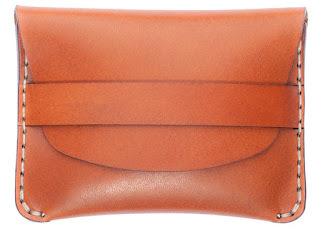 I realize that I actually don't need a thing for Christmas, but nothing's wrong with a little material lust. Ya dig? Let's get to it. 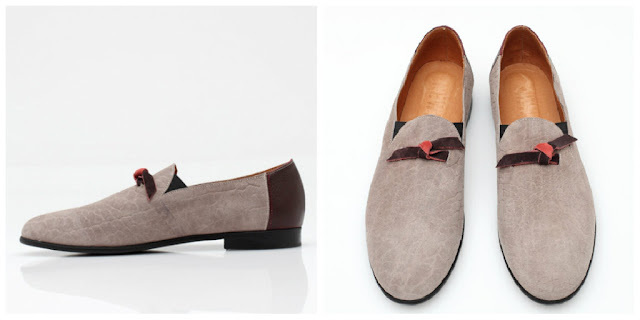 Claude Demure loafers. I've been feeling loafers a lil' too hard for the past three or four months. These will put ya out 160 bucks. Even though it's (finally) getting cold, I've been going sockless in my pennies and leopard loafers. Dumb? Just a little. But, looking good is a must. 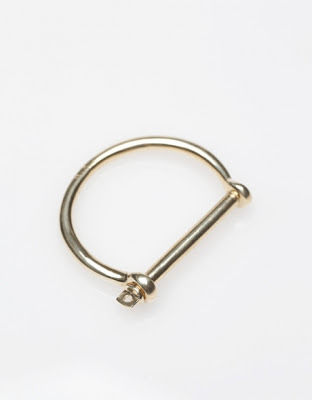 Mansai Brass Screw Cuff. Need. New. Arm. Candy. And this is the piece to take my wrist game to the next level. It's simple, but still has an intriguing design. 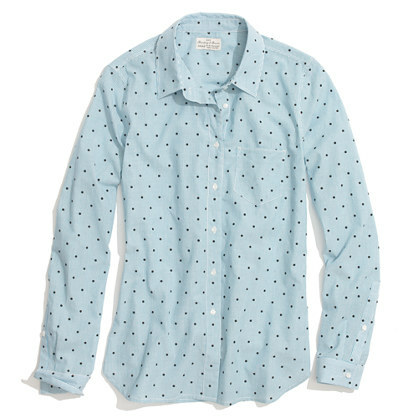 Madewell dotted pinstripe shirt. No joke, I've been trying to cop a polka dot for four months since I saw one at Gap. This one is awesome because it's also pinstripe. You can't really see it in the photo, but the mixing of two prints that most would never dare to do, polka dots and stripes, makes this shirt the ultimate polka dot shirt to cop. And by cop, I mean buy, not steal. Penfield parka. I don't know why I like parkas so much, but I do. I've seen a lot of small women wearing them this winter. Like short women, with chelsea boots and big scarves. Looks good. I'm not a small woman, but I'd love a parka. 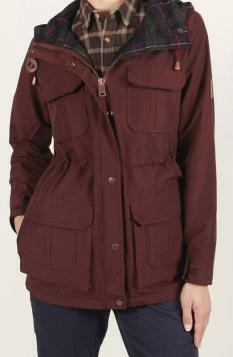 This Penfield one is never in stock, so I don't know if this is even a feasible option. Here's to dreaming (and the restocking of this jacket...). J. Crew geometric print jeans. No list is complete without a little J. Crew. Pants are probably my favorite clothing item to buy. I have too many pairs of pants, and ones in shocking colors or prints always catch my eye. These fit the bill perfectly. I like obnoxious clothing. And there you have it. Keep up with us on Facebook and Tumblr.